Brighten up your children's bedroom with this beautiful and very practical Leo bunk bed. 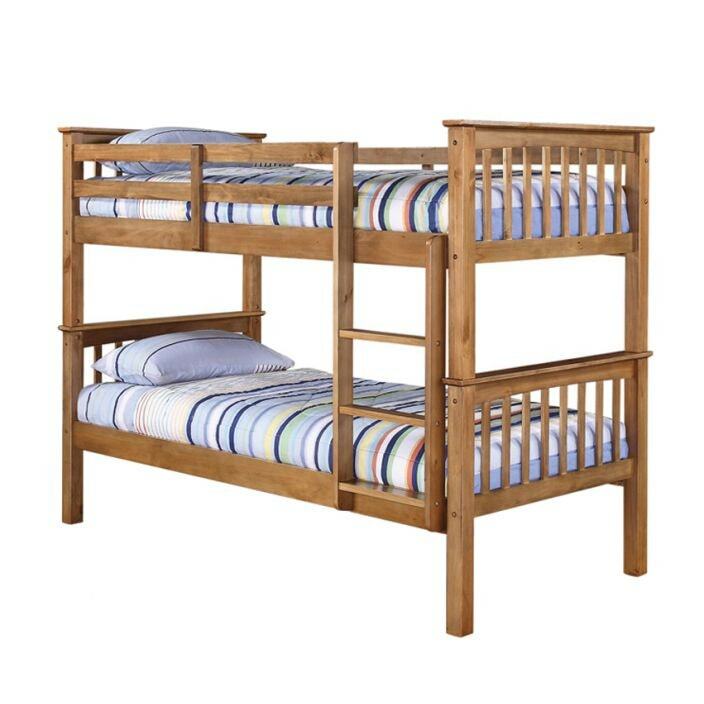 Finished in a wax pine, this 2 tier bunk bed can also be split into separate single beds. Sure to impress this sturdy product will last generations.